What happens when a mysterious stalker threatens everything you know - including your very existence? That's a question the main female character faces in Irene Hannon's newest book, Deadly Pursuit, the second book in the Guardians of Justice series. Set in St. Louis, Hannon focuses this book on Alison (the lone girl in the Taylor siblings - the driving force behind the series), and her work as a child protection caseworker. Alison has a passion for protecting children - ultimately that passion puts her into the cross-hairs of an angry, drug-addicted man, who feels like she is the source of all of his angst. 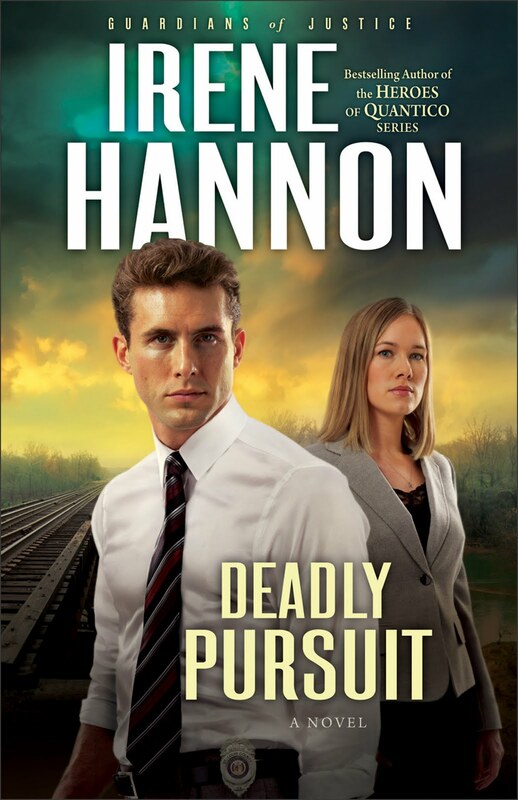 In Deadly Pursuit, Hannon has crafted a tale full of intrigue and suspense. Full of twists and turns, it will definitely keep you on your toes, trying to guess what happens next. You will also feel the tension surrounding Alison, as she struggles to live a normal life, under not-so-normal circumstances. On a side note...(slight spoiler alert) I was intrigued by her reference to a bridge in Times Beach, Missouri - a town that no longer exists outside of St. Louis, due to dioxin contamination. (It's now a state park, in honor of Route 66). I of course, had to google the bridge to see what inspired those scenes. Just an interesting thing that tugged on this Missouri Gal's heart. Irene Hannon is the author of more than 35 novels, including the CBA bestsellers Against All Odds, An Eye for an Eye, and In Harm's Way. Her books have been honored with the coveted RITA Award from Romance Writers of America, the HOLT Medallion, the Daphne du Maurier award, and two Reviewer's Choice Awards from Romantic Times BOOKreviews magazine. She lives in Missouri. An online excerpt of Deadly Pursuit. A Couple of Fun Contests!